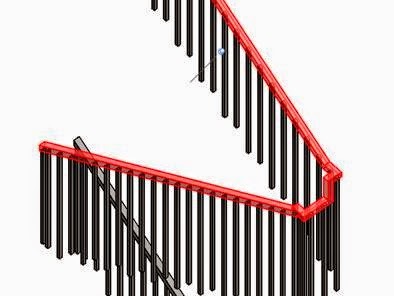 You can define a rail extension for a handrail or top rail. 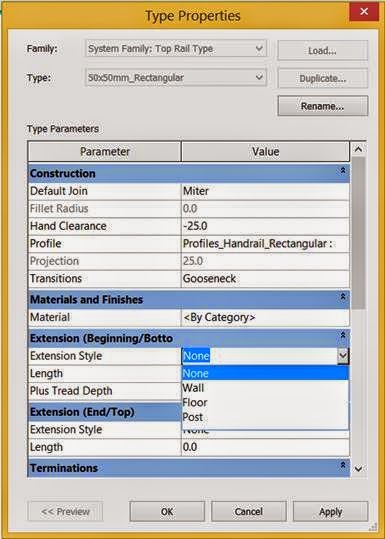 Open the Type Properties dialog for the top rail or handrail. For Length, specify the value of the extension length. If this value is zero, the extension will not display. Optionally, select Plus Tread Depth to add one tread depth to the length of the extension.